1. If you haven’t heard of him, than you must be sheltered. 3. The brand is famous for their use of mixed patterns in the coolest way possible. 1. All the pieces are affordable, with prices ranging between $14.99 – $79.99. 2. 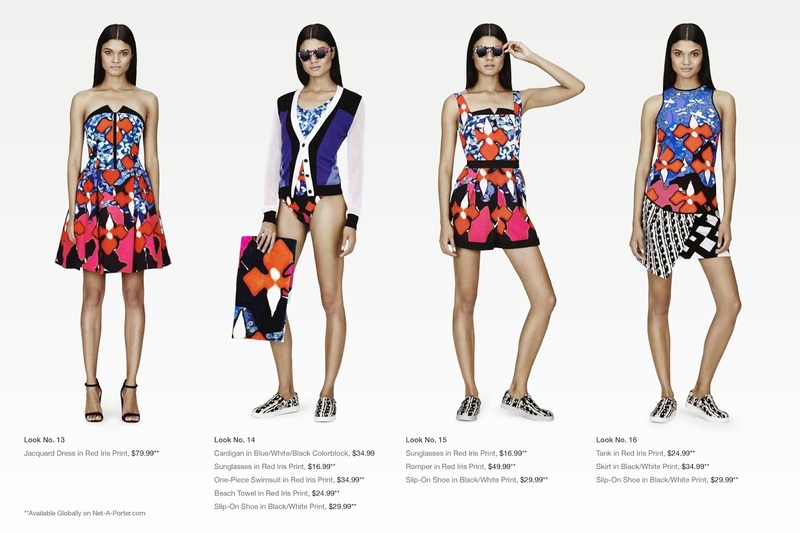 One thing about the collection is that each piece actually looks like a Peter Pilotto piece from their own lines…..
3. … meaning that the collection actually looks like you’re wearing thousands of dollars on your back (but the quality doesn’t match of course). ALSO: WHO WORE IT BEST? Left to Right: Dianne Kruger, Alexa Chung, Dree Hemingway or Taylor Schilling?